Sriram Raghavan’s AndhaDhun starring Ayushmann Khurrana, Tabu and Radhika Apte have been garnering rave reviews from across the quarters. 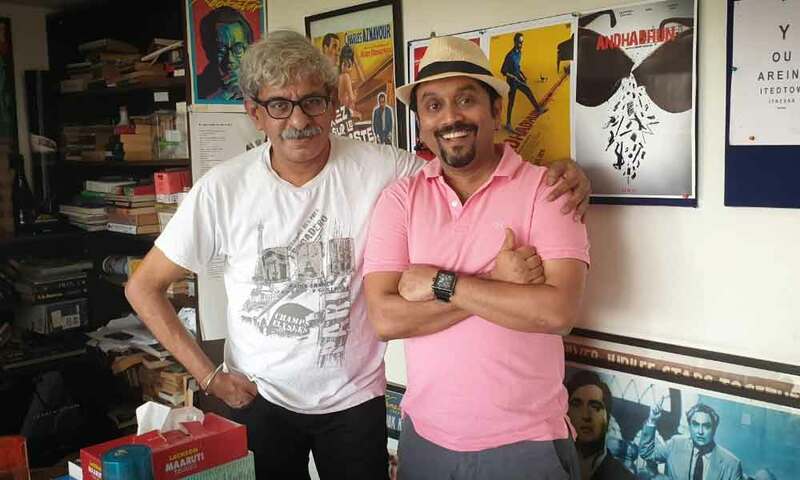 Sriram Raghavan who had known Shwetabh Verma for over a decade had got him on board for a special promotional song. Talking about the same, Sriram Raghavan shares, “I know Shwetabh Verma for more than ten years. He’d done the “Move your body” video for Johnny Gaddaar. With Shankar Ehsaan Loy and Hard Kaur. It was much loved in its time and quite popular even today. So he was the first choice for the Andhadhun song. As usual, we were on a low budget and all that but with all the givens, I knew I could trust Shwetabh to come up with something slick and visually arresting. I love the smoke and mirrors feel which fits in fantastically with the theme of our film. Shwetabh’s Verma shares, “Directing Tv commercials keeps me busy in India. But an opportunity like this to direct a song for a movie is rare. Its a big responsibility as my job is to excite the audience and generate curiosity about the movie. I have had a great equation with one of the most humble and talented fellow director Sriram Raghavan. I saw the rough cut of the film and instantly had an idea as to how to go about designing the visual look for the song. Sanjay Routray producer and a dear friend gave me a free hand to choose my team. I was very sure as to how I wanted to present Ayushman, Tabu and Radhika Apte in the song. The idea was simple- create elements of mystery with snappy choreography, done by Pratimesh. Produced by Viacom 18 Motion Pictures and Matchbox pictures, ‘Andhadhun’ is directed by Sriram Raghavan. Starring Tabu, Ayushmann Khurrana, and Radhika Apte, the film is having a successful theatrical run at the box office. Previous articleAce Filmmaker Rajkumar Hirani Calls Tumbbad A Rollercoaster Ride!